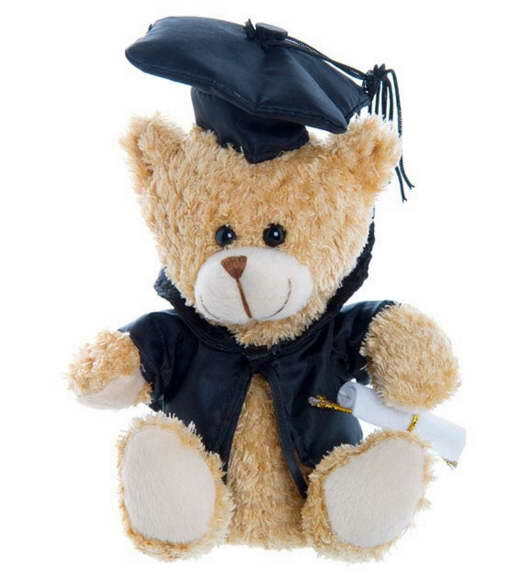 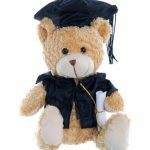 Graduation Teddy Bear – 20cm sitting down. 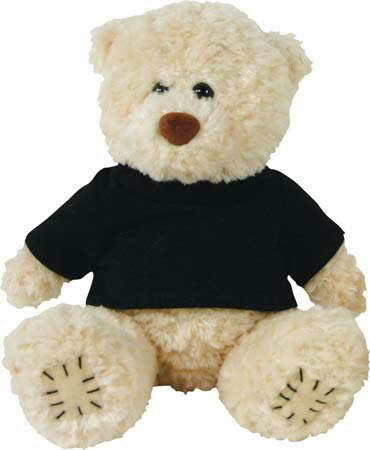 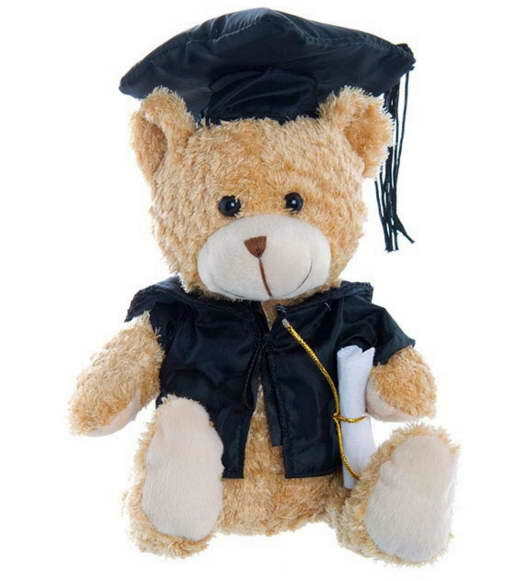 This great looking Graduation Bear come with a black graduation gown, black cap and a white graduation certificate. 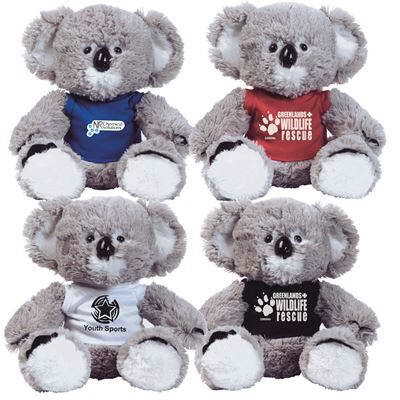 We can print or embroider on the garment your school logo or message. 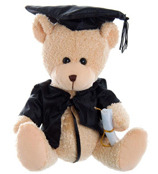 Graduation bears are perfect for any University or school.